By a News Reporter-Staff News Editor at Cancer Weekly -- Androgen deprivation therapy is a common and effective treatment for advanced prostate cancer. However, among other side-effects, it can cause significant bone thinning in men on long-term treatment. A new study by Vahakn Shahinian and Yong-Fang Kuo from the Universities of Michigan and Texas respectively, finds that although bone mineral density testing is carried out on some men receiving this therapy, it is not routine. They did note, however, that men were significantly more likely to be tested when they were being cared for by both a urologist and a primary care physician. Their paper appears in the Journal of General Internal Medicine, published by Springer (see also Osteoporosis). Androgen deprivation therapy cuts off the production of testosterone by the male testes. This prolongs the life of men with advanced prostate cancer, often by years. However, the therapy can cause osteoporosis which carries an increased risk of fracture. There are treatments available which can help reduce the extent of osteoporosis suffered. Despite recommendations for bone mineral density testing being incorporated into practice guidelines in 2002, it still does not seem to be carried out frequently enough. In order to ascertain current levels of testing, the researchers looked at the medical records of over 80,000 men with prostate cancer in a Medicare claims database between 1996 and 2008. 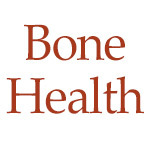 Although they noted that the levels of bone mineral density testing had increased over those years, only just over 11 percent of men received a test for osteoporosis in the last year studied. According to the authors, "The absolute rates of bone mineral density testing remain low, but are higher in men who have a primary care physician involved in their care." Levels of testing were lowest in men being cared for by just a urologist alone. The authors emphasize that bone care is not within the usual remit of most urologists and, as such, may be outside their comfort zone for diagnosis and management. Urologists are not alone in this, though, as breast and colorectal cancer patients also tend to fare better with the involvement of a primary care physician in addition to their oncologist. It would therefore appear important to derive a system whereby primary care physicians remain involved in the care of men with prostate cancer. In addition, urologists need to be made more aware of the risk to bones and men starting androgen deprivation therapy need to know to ask about the test.